Want to experience the Last Frontier of Papua New Guinea where few foreign visitors have ventured? If so, this adventure is for you! The Sepik River is one of the richest areas in PNG for traditional culture, rainforests and carvings. The Upper Sepik is particularly renowned for its smaller and different style ancestral ‘Men’s Spirit Houses’ and the ‘Insect Culture’ Clan (Swagup Village) as opposed to further down the river in the Middle Sepik region with Iatmul people with their ‘Crocodile Clan Culture’. The villages we visit in the Upper Sepik region are remote and located in a less populated area. These villages tend to be smaller communities and are further apart in location to each other village than in the Middle and Lower Sepik regions. Some can take many hours of canoe travel to reach but still offer very welcoming village people. Due to the remoteness of this part of the river, villagers will seldom be informed of your arrival beforehand so we send you with a complete survival kit including mosquito nets, basic food provisions and bedding together with a true sense of adventure into the unknown! Our English-speaking guides are from the area and in knowing the region and village people well, are totally trustworthy and friendly. Arrive in Wewak by air from Port Moresby or Madang. Met at airport by the transfer Courtesy bus for the ‘In Wewak Boutique Hotel’ – checked in. At 6. 30 pm Chris Karis, PNG FA will meet you in the hotel reception area where he will brief you on your Sepik expedition..
Breakfast at 7- 730 am . Depart Wewak by private hire vehicle with your guide to Pagwi, Middle Sepik. From Pagwi board and travel upriver by motorized dugout canoe. Passing Ambunti then Wagu Lagoon, canoe on to Yambon to visit the lovely Haus Tambaran and see their wooden carvings. Travel further on to Mino where you will overnight in a family house. After breakfast travel to the villages of Yessan and Maio where the people follow the Yam culture that is reflected in their carved artefacts. Motor on to the Insect clan people in Swagup village. There you can see their delicate and intricately carved wooden canoe paddles together with their style of artefacts. Sleep in a village home along the river. Canoe on to Tongujam, meet the village people and visit their distinctive Haus Tambaran. Canoe down river to the beautiful Wagu Lagoon and sleep in the village guesthouse. Rise before dawn and cross over Wagu Lagoon and take a short trek in the hope of witnessing the beautiful Birds of Paradise presenting their captivating dawn chorus in the rain forest canopy. After a quick breakfast back at the guesthouse, return downriver to Pagwi where your hire vehicle will be waiting to take you and your guide back into Wewak by late afternoon. Sleep in Wewak Boutique Hotel. Villages in the Upper Sepik Regions are very spread out so travelling takes time and requires a lot of fuel to reach. Also, water levels at various times of the year result in some villages being inaccessible. Your guide will discuss any required change of itinerary plans and discuss alternative ideas with you if this situation arises. Your guide is from this section of the Sepik River and therefore knows the villages and the river very well. With the Upper Sepik expeditions, it is important understand that itineraries are only an outline draft and there will be changes required as the expedition is happening. Factors influencing the cost of expeditions include the fluctuation of the PNG currency, “the Kina”, the spiralling rise in inflation within PNG as well as the fact that each “Adventure Expedition” is individually planned to suit the client’s wishes and requirements. It is very difficult, therefore, to give actual costings until we know exactly what your requirements are. We do not offer a standard ‘Package Tour’. Bearing all these factors in mind, below are the approximate prices based on the Upper Sepik Adventure (FA 01) with 4 days and 3 nights. Based on 8 persons’ = US$1,400/person all-inclusive ex Wewak. Based on 6 persons’ = US$1,800/person all-inclusive ex Wewak. PNG Frontier Adventures will do everything possible to organise your expedition itinerary as requested, however, due to the remote nature of the destination and possible sudden changes in the tropical weather conditions and lack of reliable communications, when on the Sepik, changes of plans are sometimes / often necessary. For example, transportation may be, in rare occasions, unreliable or disrupted. We make plans to cover most problems should they arise, which is very seldom, but the visitor must be aware of the small possibility of plans not working out as per schedule and accept this warning. Please be assured we will do everything in our powers to rearrange the expedition accordingly and find suitable solutions for you. 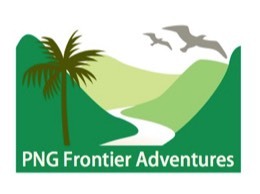 However PNG Frontier Adventures cannot be held responsible for sudden changes of plan when there is no alternative. Food while on the Sepik River will be very basic and simple due to the lack of any refrigeration & power supply along the river. Daily meals will consist of rice with either tinned fish or meat and/ or fresh fish and chicken together with fruits. We also pack eggs for the first part of the expedition. There is not any bread or bakery outside of Wewak town. We supply good bottled water throughout the whole expedition. It is important to understand the basic reality of this remote region and the limitations’ it makes on our provisions. We also wish you to understand that due to the remoteness and lack of development at the location that the village guesthouses and home stays are of a very, very simple, basic, village standard and in no way comparable to guesthouses in many other countries. For example, the toilets are pit toilets, the same as the villagers use, beds will be mattresses on the floor covered with mosquito nets, washing areas may consist of a bucket and scoop or a dip in the Sepik River. PNG Frontier Adventures books all visitors into the “In Wewak Boutique Hotel” both prior and post your Sepik River Adventure. ONLY the accommodation costs (2 nights in total) are included in all our costings/invoices. Any additional nights and all food and beverages’ at the hotel must be paid for by the guest, directly to the hotel. The hotel accepts most credit cards. Lately, mobile telephone communication towers are gradually being constructed along the Sepik River giving some , limited coverage mainly in the Middle Sepik River locations – but do not rely on this ..
PNG Frontier Adventures advises visitors that transportation on our adventures will include dug-out timber motorised canoes and car or bus hire from local rental firms. These forms of transport may not be carrying safety equipment such as life jackets, flares or emergency radios as the law in PNG does not require this standard as yet. PNG Frontier Adventures informs the visitor that medical services are very limited here and rescue services even more limited. With that in mind we ask our visitors to visit your doctor before travelling to PNG and to ensure you start taking prophylactic medication against malaria to be on the safe side. Please also check on your travel insurance and medical insurance. Upon receiving an enquiry we design and plan your personal itinerary via emails and provide a quotation for your perusal. Once you are happy with the arrangements and wish to proceed with a booking, we ask for a deposit of 50% to be paid 8 weeks prior to the commencement date. As soon as we have the deposit your booking reservation is confirmed. We ask for the final balance of payment 4 weeks before the expedition commences. Cancellation within 2 weeks of the commencement of the expedition incurs a penalty of 100% of monies paid to date.